Opioid meds are the go-to treatment for chronic pain, but as Olympic champion Jackie Joyner-Kersee and others have learned, these drugs can have distressing side effects. When you’re an elite athlete, you train long and hard with total dedication to your sport. For Jackie Joyner-Kersee, that sport was the heptathlon. This series of seven track-and-field disciplines saw her pushing to win. And she did, in 1988, setting and smashing records in the 100-meter hurdles, 200-meter dash, 800-meter run, high and long jumps, javelin throw and shot put. Today, Joyner-Kersee still stands as the undisputed queen of this grueling event. But along with the glory came suffering from years of athletic injuries. 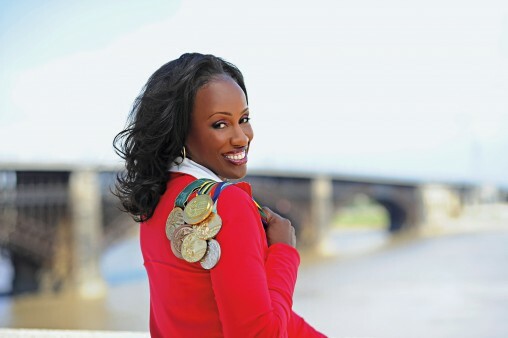 Joyner-Kersee found herself enduring chronic pain that lingered long after she achieved Olympic excellence. Symptoms of OIC can include fewer bowel movements, straining to pass stools, incomplete evacuation and feces that are too hard or soft. In addition, some people complain about bloating, abdominal pain and an inability to pass their waste despite feeling the urge to go to the bathroom. Once she understood OIC, Joyner-Kersee talked with her health care provider about treatment options. But besides OIC, opioid meds cause a number of other worrisome side effects. These painkillers can be highly addictive and they’re driving the current heroin epidemic that has become a national priority. According to the Centers for Disease Control and Prevention (CDC), in 2012, health care providers wrote 259 million prescriptions for painkillers. One of them, a combination of hydrocodone and acetaminophen, is a narcotic pain reliever doctors prescribed to 119 million patients in 2014. CDC statistics show that 45 percent of people who used heroin were also addicted to prescription opioid painkillers. In general, heroin use has increased throughout the United States among men and women across most age groups and at all income levels, the CDC reports. Along with the uptick in heroin use are related overdose deaths of people from all population groups. In 2013 and 2014, a number of celebrity deaths were reportedly caused by heroin or opioid overdose. Entertainer Chris Kelly (of the rap duo Kris Kross), age 34, and actor Cory Monteith, age 31, who starred in the TV show Glee, died by overdosing on a mix of heroin, opioid medications and other drugs. Actor Philip Seymour Hoffman, age 46, followed a similar path. He was found dead in the bathroom of his New York City apartment from an apparent heroin overdose, with a needle stuck in his arm. And, recently, opioids were linked to Prince’s death. But as doctors tracked the epidemic of heroin overdoses, they began to see a pattern emerging. Across the country, fueled by cheap access to a plentiful supply of heroin, the number of people injecting the popular alternative to prescription opioids soared. In turn, this raised the risk of hepatitis and HIV. “The link between opiate heroin use and contracting hepatitis B and C comes from risky sexual behavior (more hep B than C) and shared needles, (both hepatitis B and C),” Cidambi says. In addition to exploring new therapies for hep infections that result from injecting heroin, however, doctors are seeking ways to help patients steer clear of opiate abuse and the risk of overdose. Cidambi suggests that doctors come up with a therapeutic strategy in order to avoid overprescribing opioids to patients and risking the abuse of these drugs. Cidambi’s 90-day plan includes an evaluation to spot warning signs that a patient is prone to addiction. She also believes doctors should dispense opioids to patients suffering from chronic pain only as a last resort. The dosage of the drug should be lowered to wean the patient off the opioid to decrease the likelihood of tolerance or addiction, Cidambi adds. Four years ago, a panel of experts urged the U.S. Food and Drug Administration (FDA) to require that doctors who prescribe powerful painkillers, such as oxycodone and fentanyl, undergo mandatory training to help arrest the epidemic of addiction and overdose involving prescription opioids. But the FDA rejected the panel’s proposal after the American Medical Association (AMA) fought it. In the meantime, Cidambi and other doctors who are concerned about the more troublesome effects of opioid treatment prefer a cautious approach to prescribing painkillers to patients who say they’re hurting. “The physician has to understand the patient’s pain, as opioid pills are not needed for all types of pain,” she says. But many doctors also stress that, like Joyner-Kersee, there are lots of people who use opioids as prescribed and never have side effects of the kind that concerns Cidambi, as these meds can be safe and effective when used as directed. As for Joyner-Kersee’s OIC, after she consulted with her doc, she underwent treatment for the condition. In general, doctors suggest lifestyle changes along with medicines and techniques to relieve constipation. What’s more, there are new drugs physicians can prescribe to counteract OIC without interfering with the pain-relieving benefits opioids offer. Bonus online only Real Health TV interview with Jackie Joyner-Kersee.